The Trump administration says its 30% solar panel import tariff will protect the solar industry from unfair trade practices and bring manufacturing investment, and subsequently jobs, back into the country. But trade experts, solar industry analysts, and solar project finance advisers said the tariff could have the opposite effect, similar to that of a tariff imposed by the Bush administration on foreign steel imports in 2002. In a signal that worry may be warranted, SunPower Inc. (SPWR – Get Report) is threatening to halt a $20 million U.S. factory expansion, leaving hundreds of new jobs in limbo unless its solar panels receive an exclusion from the tariff. SunPower is one of just a few remaining U.S.-based solar panel manufacturers, but much of its production is done in southeast Asia. The incentives produced by tariffs have not been historically great. After George W. Bush imposed steel import tariffs in 2002, ranging from 8% to 30%, the result was the loss of about 200,000 jobs for the 21 months the tariff was in effect, according to Matthew West, Baker Botts’ global projects chair and trade partner. It was repealed after an adverse decision by the World Trade Organization. “I’m all for trade laws, when they don’t hurt our own industry,” said Mickey Kantor, an international trade-focused partner at Mayer Brown LLP and a former Secretary of Commerce under President Clinton. The question is whether a tariff intended to harm the Chinese will in turn damage the U.S. as well. “We ought to enforce our trade laws, if it’s in a way that’s factual, and not just intended to hurt a foreign industry,” Kantor said. China is expected to challenge the tariff at the WTO. Still, that process could take close to two years considering the backlog of cases in front of the trade council. And given that the solar tariff decreases in steps over the course of four years, the greatest effects of the measure may have long been realized, according to Didriksen and West. WTO reaction to this tariff may also lead to tests for tariffs on larger, more diverse industries, such as steel and aluminum, where there are other countries concerned besides the U.S. and China. President Donald Trump has hinted at tariffs on steel imports to prop up the U.S. steel industry and protect against unfair trade practices by China. Similar measures taken to combat unfair trade have also failed to boost investment in U.S. solar manufacturing, said Vertical Group analyst Gordon Johnson. In October 2011, SolarWorld Industries America Inc., an Oregon-based solar cell manufacturer that formerly did business as a subsidiary of Germany’s SolarWorld AG, filed petitions asking the U.S. Department of Commerce and the International Trade Commission to conduct anti-dumping and countervailing duty investigations into Chinese imports of crystalline silicon solar cells and panels. In July 2014, the U.S. Department of Commerce found in SolarWorld’s favor and effectively lobbied anti-dumping tariffs against several major Chinese and Taiwanese producers, including Trina Solar Ltd and JinkoSolar Holding Co. (JKS – Get Report) . Those tariffs did nothing to encourage investment in U.S. manufacturing capacity, and neither will Trump’s, Johnson said. Nor will they improve margins for any U.S. solar module makers, other than maybe First Solar Inc. (FSLR – Get Report), which produces the thin film panels that are exempt from the tariffs. Johnson added that the parties who petitioned the government to lobby the latest tariff will likely not find relief from its imposition. Those companies are Suniva, a subsidiary of China’s Shunfeng International Clean Energy Ltd. that produces panels in the U.S., and SolarWorld Industries America, which now operates independently after its German parent went bankrupt. “In the meantime, solar panel installers will suffer,” Didriksen said. “Most of the solar jobs in U.S. are not in manufacturing but in installation,” Didriksen said. “The question we need to ask is: With this safeguard, whose jobs are you protecting?” West said. “The answer may be nobody’s,” said Lee Barken, CCO of CollectiveSun, a company that assists nonprofit organizations in achieving financing for solar projects. Most of the cost of a solar installation project doesn’t come from buying the panels, Barken said. For the sub-$1 million projects his company generally handles, solar panel purchases may make up less than 25% of the total cost of the project. 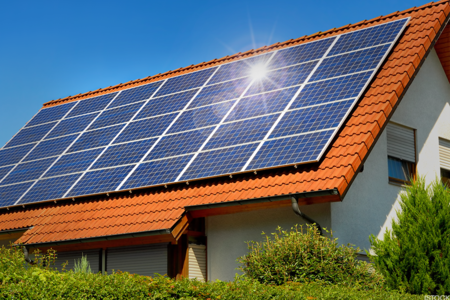 Residential solar panel installers such as Vivint Solar Inc. (VSLR – Get Report) and Sunrun Inc. (RUN – Get Report) likely spend more money on customer acquisitions than they do on solar panels, Barken said. Increasing the cost of that 25% with a 30% tariff effectively boosts the overall project cost by 7.5%. That number seems less significant than 30%, but Barken said it can be material. As project sizes get larger, the proportion of project costs associated with solar panel purchases could be higher, Barken said, which would shift the drawbacks of the tariff out of the favor of utility-scale project developers and suppliers. Barken said he’s still optimistic about the U.S. solar industry is not dead in the water. This article was originally published on the TheStreet website by Tom Terrarosa. SOLAR ENERGY USE WILL CONTINUE TO GROW AS COSTS ARE EXPECTED TO DROP SIGNIFICANTLY IN THE FUTURE. WHAT MAKES SOLAR ENERGY SO SPECIAL?